The newly opened LUX* North Malé Atoll has special surprises in store for this Easter, including an underwater golden egg hunt in its crystal-clear lagoon and an ultimate prize of a complimentary night’s stay at the resort. The whole island will be transformed into a magical Easter wonderland with insta-worthy human-sized Easter eggs placed all around the island. The resort will also offer guided dives to famous dive spots and shipwrecks, manta and turtle snorkelling sessions, water sports activities such as Jet Ski rides, sea bobs, parasailing and Easter bunny’s flyboarding show organised by Best Dives Maldives, the resort’s exclusive operator of Diving and Water sports. Naturally, there are plans for an array of fun and creative activities for the little ones at the kid’s club PLAY such as Easter basket crafting, cookie decorating classes and origami rabbit making sessions to name a few. LUX* is aiming to bring its culinary magic to the table this Easter, by serving family style barbecues with Asian, Mediterranean, Indian Ocean and International inspired cuisines at the Glow Restaurant. Rooftop dining experiences with barbecues and private cinema screenings in villas will also be available. Special tasting experiences will be offered at the resort’s secluded underground dining area Barium, where guests can indulge in home-made chocolates, cheese, wines and whiskeys alongside the stunning aquarium of dazzling corals and fishes on display. Cooking classes such as mastering the island’s five signature ceviche dishes as well as chocolate egg crafting classes for the little ones are also planned at the resort. Easter Sunday is celebrated with a champagne-floating-brunch at Beach Rouge, offering the spectacular views of the Indian Ocean feet-in-sand. In the evenings, a Cinema Paradiso movie on the beach and bonfires and tasty s’ mores will be on the offer. LUX* Me Spa, an all overwater spa will offer Easter special sunrise yoga at the rooftop terrace or sandbank, special chocolate and gold spa massages, mini chocolate facials, Easter inspired nail art and fun family face mask classes. All the experiences are designed to make the guests feel rejuvenated, revived and rekindled. 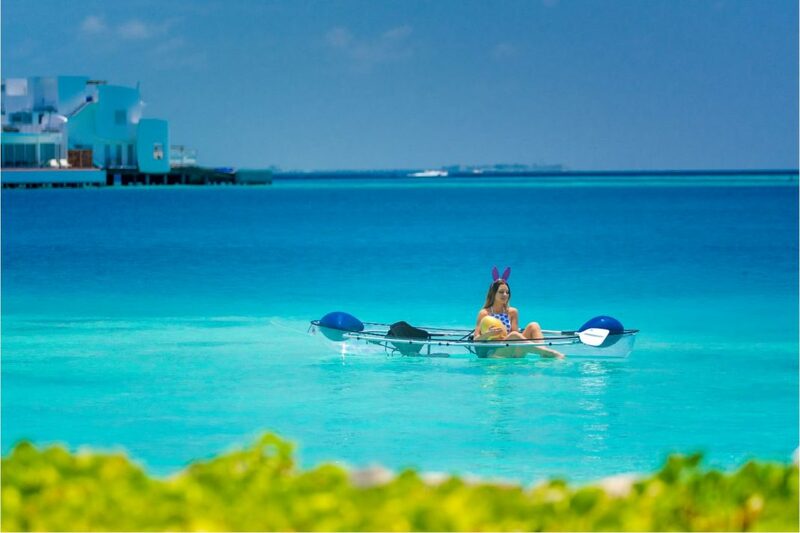 Easter is a time for families and traditions and LUX* North Malé Atoll is curating to provide unforgettable experiences and surprises designed for all. For more information, visit www.luxresorts.com/luxnorthmaleatoll.